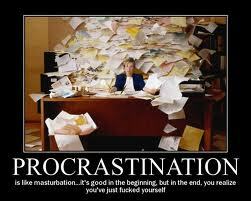 So what is procrastination? It is a regular problem many of our teens and even adults are facing everyday. It is the act of putting off essential task and obligation in a later time. Oftentimes parents try to fix this kind of attitude by giving reward or punishment to their kids. Though, procrastination has primary reasons but these fixes don’t work as well as parents would hope, leaving the children frustrated. Procrastination may be one of the biggest challenges that we should overcome. To help us overcome this behavior, there are some helpful tips to guide us. Define clearly what the needs to be done. If the tasks are not clearly and properly instructed, then that would lead to procrastination as they are not sure of what exactly you expect. Ask you child if he understand what you want to be done, if not then clearly explain it to him and clarify him if there are any confusions in his mind. Motivation. A child can easily perform something if he is motivated to do that is important to him. That is why you need to discuss and set some privileges or incentives he could get based on completed responsibilities. Help your child set goals. Goals should come from them but make sure they are clear. These goals serve as their guide to have their work done and not to procrastinate. Use preventive measures and deal the problem before it will happen. Perfectionism and anxiety can cause your child to become stressed which lead to procrastinate. Talk to your child that they don’t need to be perfect in every task but doing and showing their best is already an achievement of the task given to them. Understanding and Support are Very Important. Sometimes children procrastinate because they are afraid of what would happen or they are hesitant to perform the task. The best that your can give to them is your understanding and talk to them or have a role playing of the task if necessary. This will give them the idea on what to do. Remember this saying "Never put off till tomorrow what you can do today"